In this compelling book, Linda Colley recounts how a new British nation was invented in the wake of the Act of Union between England and Wales and Scotland in 1707. Skillfully interweaving political, military, and social history, Colley enlivens her story with colorful vignettes of the heroes and politicians, artists and writers, and ordinary women and men who helped forge a British national identity. 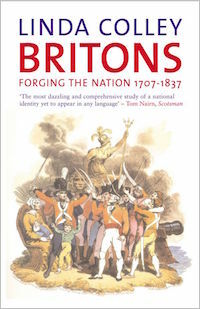 Her book is a major contribution to our understanding of Britain`s past and to the contemporary debate about the shape and identity of Britain in the future.